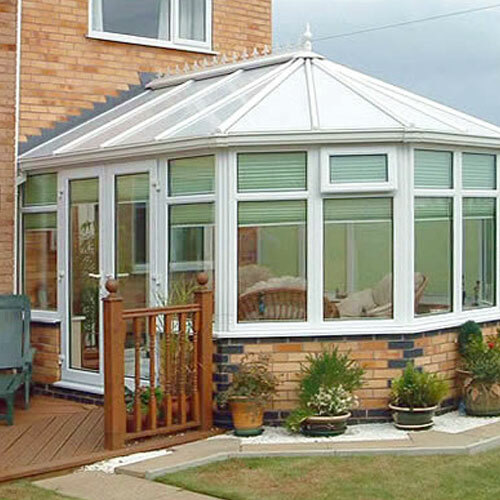 Having a conservatory can be an excellent additional to any home, especially a family home. Not only can they add more value to your home, by several thousands, but they can also add needed space within the home. Having this space is almost like having an entirely new room, with a view. But how should you use this added space? You don’t just have to plonk a sofa in it, there are many things you can do; below are 8 of them from the guys and girls at Fit My Bedroom. Get back to nature by making this space into a great outdoor experience. You can make it feel like a mini indoors garden with added plants or even have smaller animals such as hamsters and guinea pigs in here in their cages. You can make it simple or you can go all out with larger tree like plants,it’s totally up to you. This can be a great look if your conservatory doors open out into the garden, it can almost look like an extension of your garden. This room can also be really good for peace and quiet, great for craft hobbyists who need to concentrate on the tasks at hand. You can add in shelving or you can include drawers, or other built in furniture, in which you can store all of your upcoming projects. Add in some comfortable chairs and then you’re pretty much set! Whether you’re into knitting, card making, wood burning or even sewing; this room has so mucn potential for you. Every man needs a man cave, right? Well many would think of a man cave to be a shed or a garage, but you can easily make a man cave out of your conservatory! This is a great space to be away from the rest of thr family and crack on with little projects or just a little place to kick back and relax with a hot beverage and a decent book. You can make the space yours by adding in personal touches, you can even have a pool table if you really want! If you have a big family them you’ll know how hard ti can be to agree on what to watch on the television, or even where everyone gets to sit. If you need an extra living room then why not create a 2nd one in your conservatory? This space can be like a miniature living room for anyone who doesn’t want to be in the main house. You could leave the kids in the house and escape to your own room, watching whatever you like. Many houses do not have enough room for a dining room, many resort to eating from their laps in the living room. However, you can easily use this new space as a place to eat as it’s nice and quiet, plus many have more than enough room to have a large dining table. It’s also nice to be sat near the garden when you’re eating, it can be very calming and relaxing for all of the family. Fancy something different in your home? Then why not get in touch with the stars by creating a room dedicated to outer space. You can stare into the stars from the comfort of a sofa or you can even get a telescope so you can get up close and personal with galaxies. It’s a hobby you might not have thought to get into, but one that can be very rewarding to some. If you’re more into science fiction, you can always theme the room around that instead. You might not think it, but having the conservatory as a music room can actually be the perfect set up. Because it is an extentsion of the house you can play music wihout totally disturbing the people inside. On a summers day you can practice in the garden, but in wetter seasons you can simply play inside with the view of the garden for inspiration. It’s a great place to clear your head and focus on your art. Do you have a family pet? Many do, and sometimes they can get a little in the way. If you’d like a break from your pesky pets, or simply want to give them a room to themselves then you can easily give them the conservatory. This is a perfect place for a pet as any doors can have flaps for them to get into the garden whenever they like, so you don’t have to keep letting them out. Make it an animal haven, have lots of toys and plenty of places to rest their weary heads. If you liked this blog post then perhaps you might enjoy “Why Spring Cleaning Should Be A Monthly Venture“?